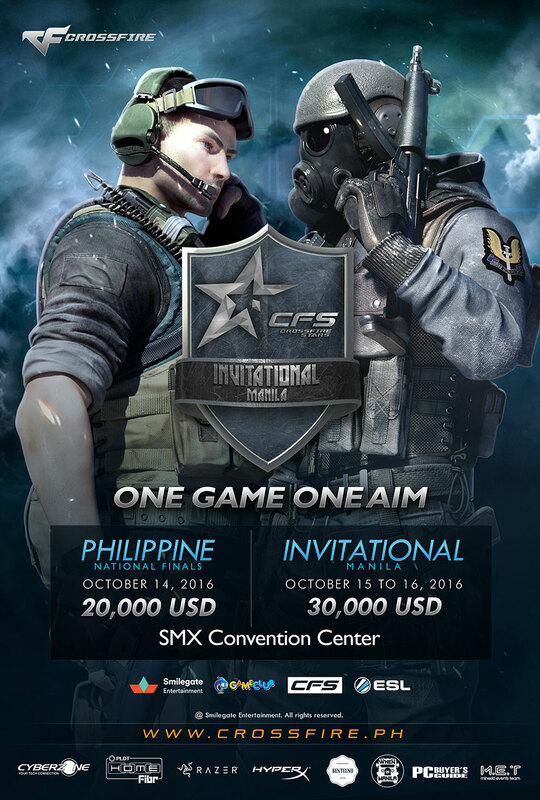 CFS INVITATIONAL MANILA will be cohosted by Smilegate Entertainment and ESL, the world’s largest eSports company, and will take place in SMX Convention Center in Manila, Philippines from October 15th to 16th. 4 teams from China, Brazil, Philippines, and Vietnam, countries where CROSSFIRE pro leagues are running will compete for a total prize pool of $30,000 USD. ‘CFS INVITATIONAL’ is one of CROSSFIRE’s official eSports tournaments along with ‘CROSSFIRE STARS’. Smilegate Entertainment launched CFS INVITATIONAL to provide more opportunities for CROSSFIRE teams and players in the world. Launched last year in Brazil and Vietnam, CFS INVITATIONAL will take place in Philippines this year for the first time. 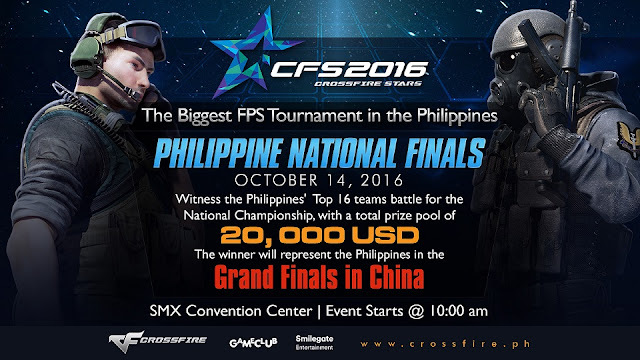 More information on ‘CFS INVITATIONAL MANILA’ can be found on the official CFS website www.crossfirestars.com.